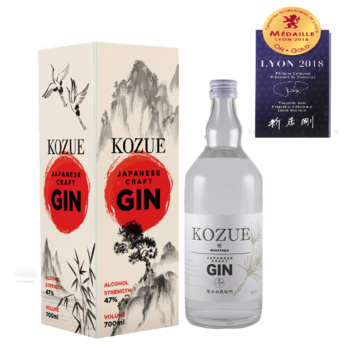 A Contemporary (Modern) gin in the Japanese style, Kozue Gin is a new brand created by the team at Nakano Biochemical Creations in Wakayama Japan. 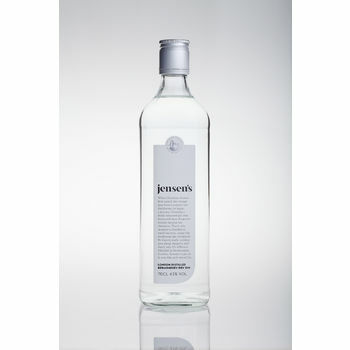 Botanicals include European juniper, koyamaki (Japanese Umbrella pine), sansho pepper, juniper, orange, lemon and mandarin. It’s the first gin to use native Japanese koyomaki needles as a botanical. This small batch gin is distilled at the Wakayama-owned Fujishiro Distillery. 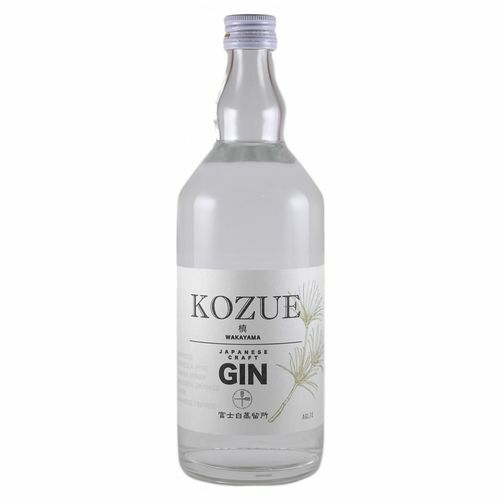 Kozue Gin is very different to other, citrus-forward Japanese gins on the market. 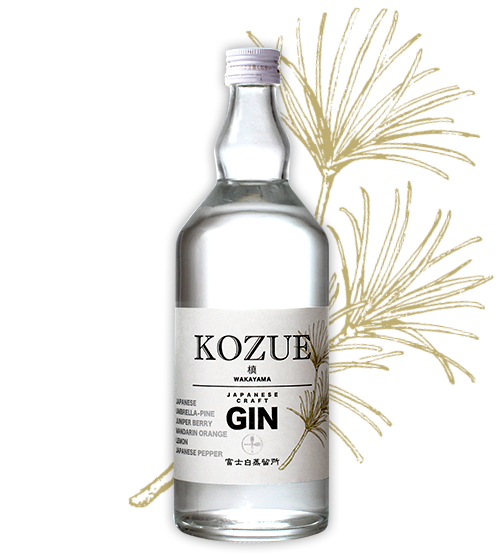 Although Kozue is bottled at 47%, it's quite smooth on the palette and isn’t overly forward with the native pine needles, so it's not overbearing at all. This isn't a dry gin -- the juniper hides behind a veil of citrus and piny notes. The nose brings green notes of grass and pine, followed by pepper and earth. On the long finish, the pine needles reign supreme, joined by subtle hints of earth, mint, and citrus. 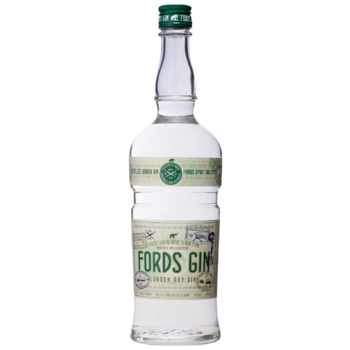 This is a promising gin, entering the market in 2017. Serving suggestions: Lovely in a G&T or in gin cocktails that will benefit from the 47% strength and koyamaki pine, such as a Negroni. Nakano BC (BC stands for Biochemical Creation) was founded in 1961. 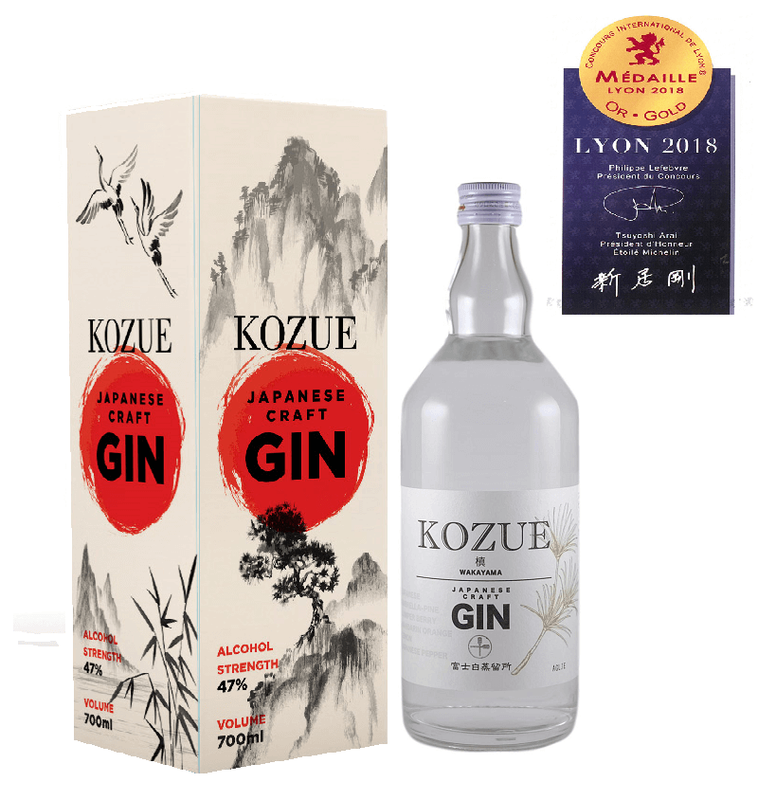 Their Kozue Gin craft small batch gin is a newly branded spirit, distilled at their Fujishiro Distillery in Wakayama Prefecture, which traditionally has distilled shochu (Japanese spirits). Nakano BS is located in Wakayama Prefecture. It’s initial focus was the making of soy sauce but expanded to include the distillation of Japanese spirits including sake andshōchū. In 1971, Nakano BC commenced production of ume juice and later also umeshu. 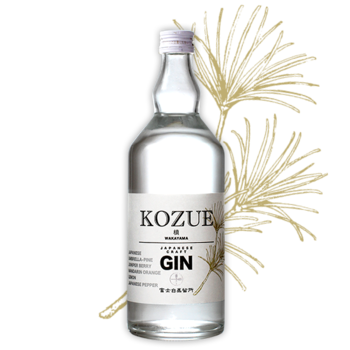 Kozue Japanese Craft Gin is their first foray into the world of juniper.